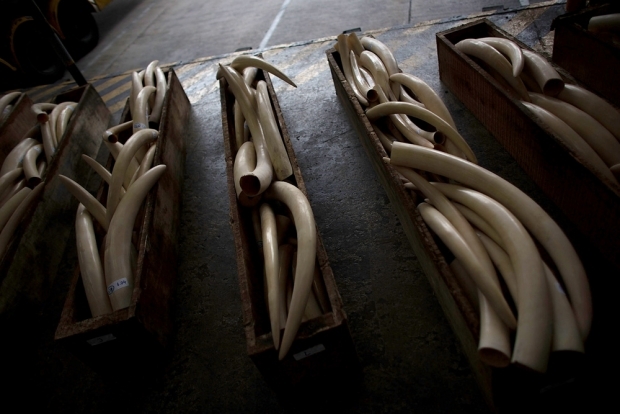 Ivory tusks seized in August 2013. A recent report alleges visiting Chinese President Xi Jinping’s delegation smuggled dozens of kilos of ivory out of Tanzania. A recent report by the U.K.-based Environmental Investigation Agency (EIA) alleges Chinese diplomats and officials have been directly involved in the ivory trade in Africa. Most damaging, the EIA reports that even some members of visiting Chinese president Xi Jinping’s delegation smuggled dozens of kilos of ivory back home after an official state visit to Tanzania in March 2013. If true, the symbolism of such allegations are terrible and go a long way toward undermining China’s soft-power diplomacy initiatives. However, our guest this week, journalist and Chinese CSR activist Huang Hongxiang (黃泓翔）of China House in Kenya, says these stories are often much more complex then they are portrayed.